The box is a zoo building that can be used for playing. Ideal for transport and storage. Unique: the play set additionally contains funny gane ideas. • Contains: animal keeper George, 1 elephant, 1 hippo, 1 giraffe, 1 camel, 1 flamingo, 1 monkey, 1 tiger, 1 lion, 1 polar bear, 1 penguin, 1 crocodile, 1 zebra, 1 grass, 2 trees, 1 wheelbarrow, 3 fences, 2 rocks, 1 signpost. • Dimensions: elephant 8 cm. 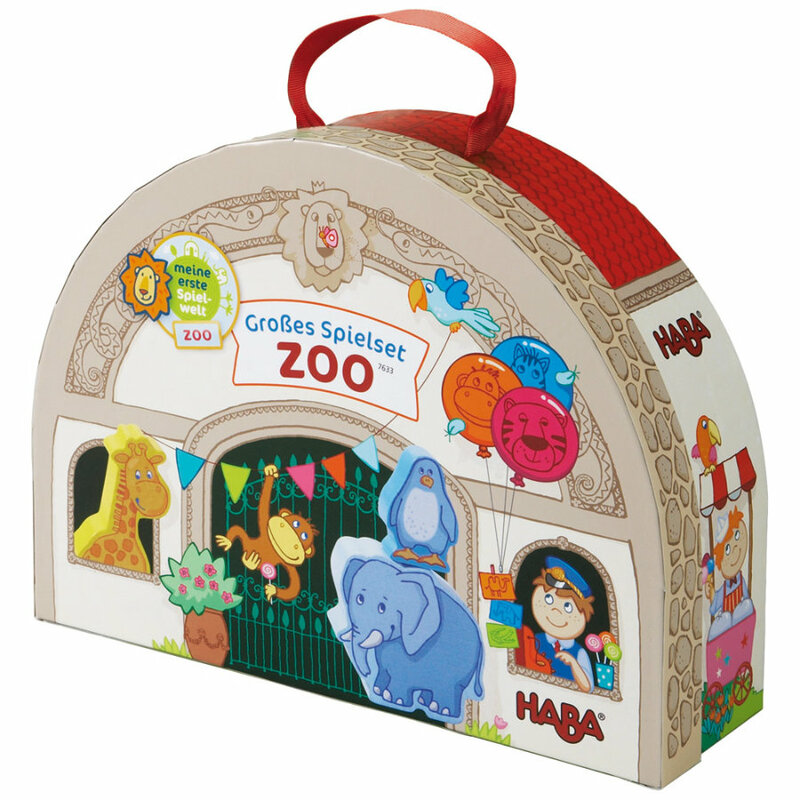 The German toy manufacturer HABA has been among the most renowned producers of wooden toys for decades on end. The global player guarantees a sustainable production from regional forestry that regularly receives premium quality seals from independent testing organizations. HABA produces wooden building blocks and bead mazes with lovely details that spark the imagination and promote the cognitive development of children while playing. HABA’s wide product range also includes dolls, rugs and training cutlery.